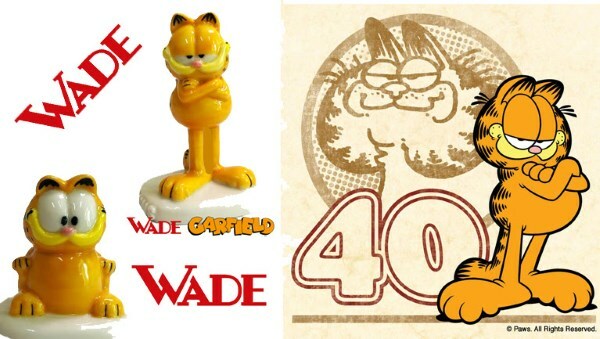 A special 40th anniversary, limited-edition pair of Wade Garfield Whimsies has been released by the Wade Collectors Club and include a standing and sitting version. Each Garfield Whimsie is priced at £24.99 and is boxed in an exclusive Wade Whimsieland box and comes with a certificate of authenticity. For more information visit the Wade Collectors Club.